It was a rainy Saturday morning, but that did not dampen our spirits for the 21st Sungei Buloh Anniversary Walk! This year, the anniversary marks another momentous occasion. 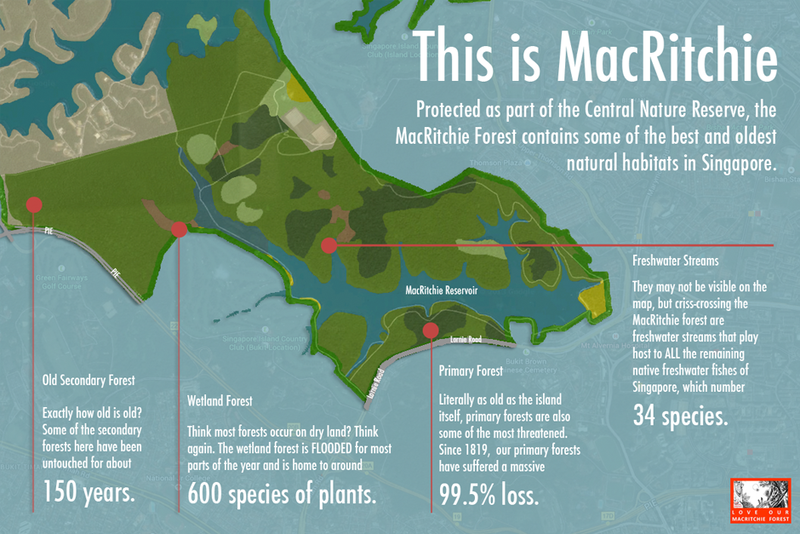 Sungei Buloh is now ever more accessible to visitors with the opening of the new Kranji extension. 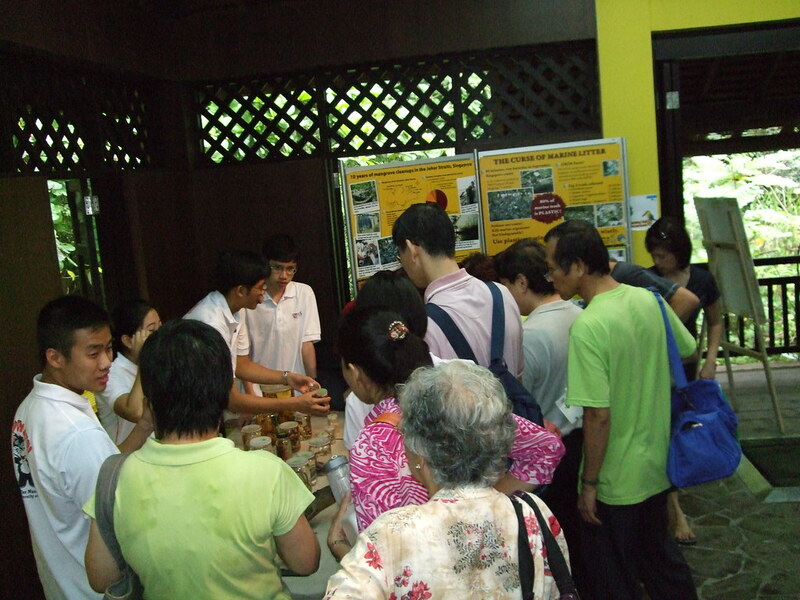 To celebrate with Sungei Buloh, we hosted two activities – a show and tell booth at the new education centre, and an early mangrove walk. For our early morning walks, 105 spots were filled up within two days of our email invitation to the NUS staff community! It was great to see the first participant show up at 7 AM, 30 minutes ahead of our stipulated meeting time of 7:30AM. Most participants streamed in between then and 7:45 AM, and I was able to send the first group off with Siva at 7:25 AM, and subsequently, one group was flagged off with a guide every 5 minutes. 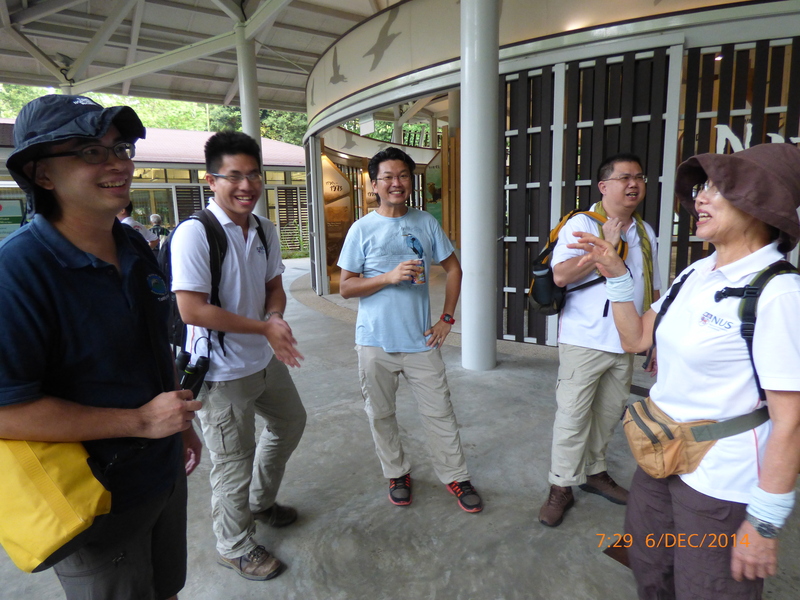 Guides Ivan, David, Adrian, Alvin and Oi Yee having a light moment before our participants arrive. Alvin with the second group of the morning. Chee Kong with his group on the main bridge. Back at the new extension, things got busy with with our booth, with Tze Kwan and Weiting helping to keep a lookout and many enthusiastic Toddycats in attendance! MoS Desmond Lee graced the event and was ‘ambushed’ by Jhar, Audrey, Cherry, and Le Min, eager to share with him stories of mangrove critter! 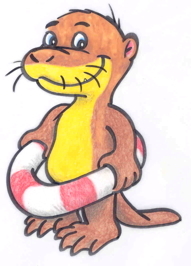 It is a double celebration for us as Sungei Buloh and Otterman share the same birthday. All in all. it was a great day out, despite the rainy weather. We will be back next year! For more photos, see our flickr album! 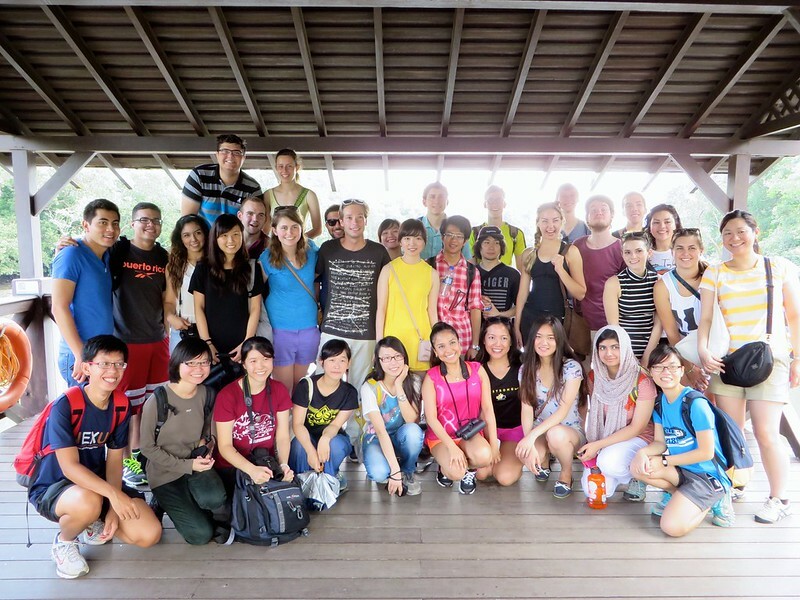 Last Saturday, Toddycats Alvin, Sarah, Kar Mun and Katie took 40 students taking part in the FASStrack Asia summer school programme for a morning walk at Sungei Buloh. Hailing from US, UK, Vietnam, Turkey, Canada, Australia, Mexico, Europe, Japan, China, Taiwan, as well as NUS, it was a good opportunity to introduce to them the wild side of Singapore. It was also a very good way for them to get used to our local weather and get over jet lag! 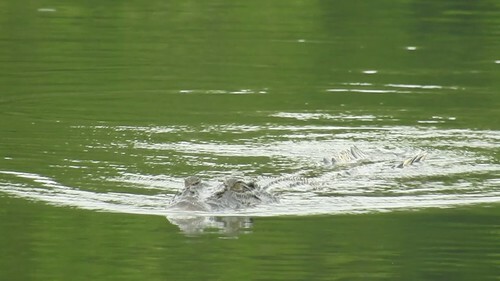 Despite the 35 degree heat, it was an engaging walk enjoyed by the participants, with Alvin’s group lucky enough to catch sight of two crocodiles! 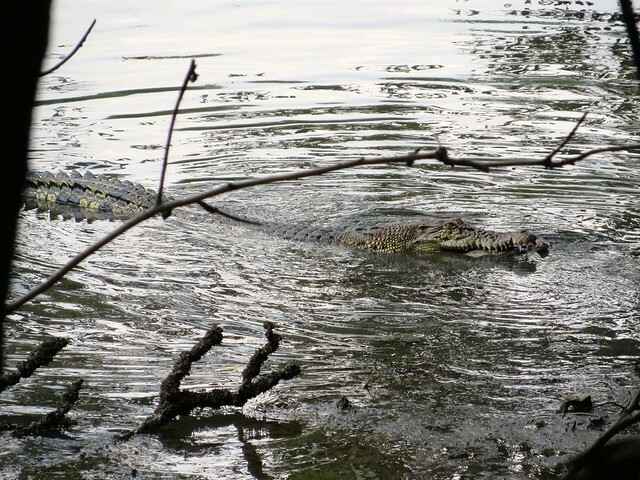 Besides the two crocs, monitor lizards and skinks were among some of the wildlife spotted at SBWR that morning. Each group focussed on different topics based on the interest of the students and guides, and according to Alvin, his group was particularly fascinated with Nephilia spiders and their webs! 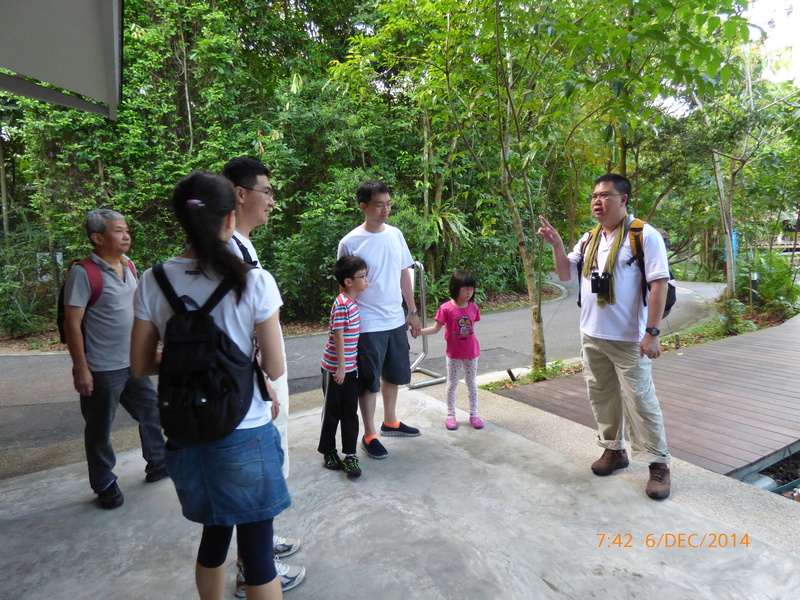 Veteran Sungei Buloh guide Alvin welcoming everyone to the Reserve. More pictures at the FASStrack Facebook page. 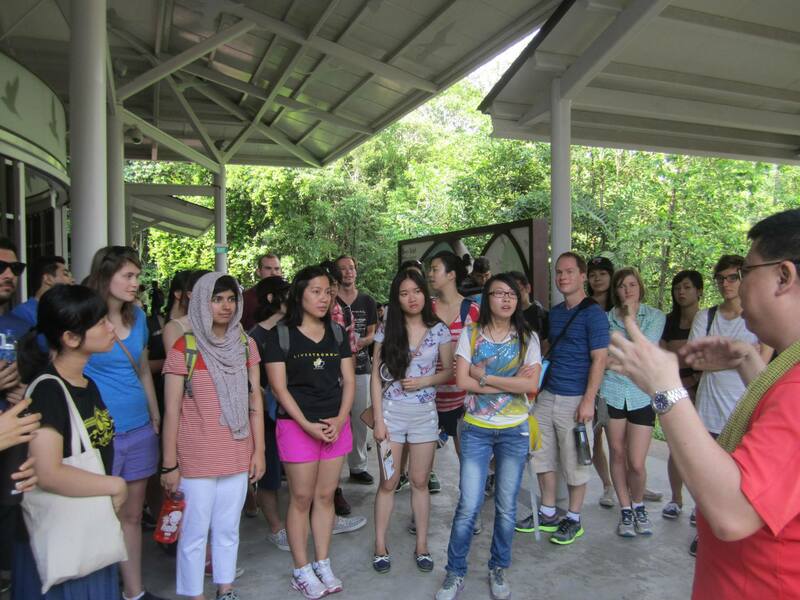 Sungei Buloh celebrates 20 years: Join in the festivities with Toddycats this Saturday 7 December 2013! 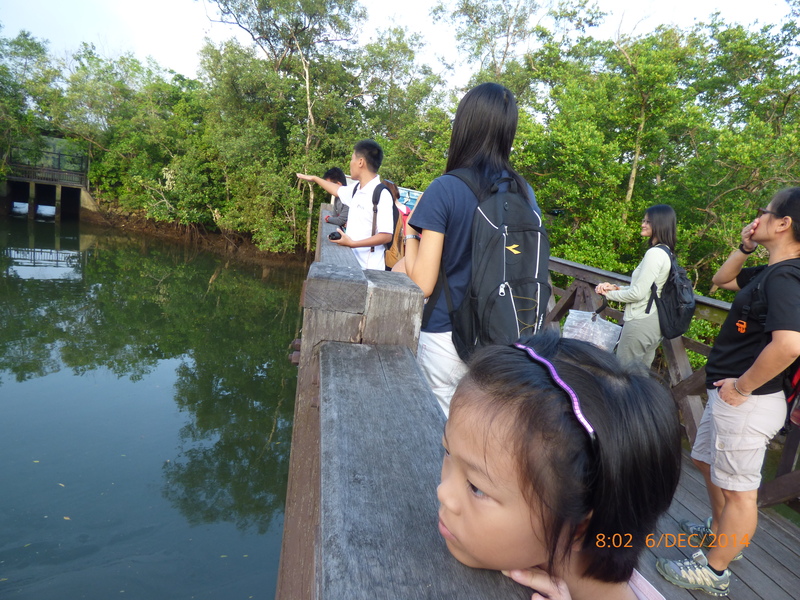 The Raffles Museum Toddycats have been organising Sungei Buloh Anniversary Walks every December since 1997, to celebrate the official opening of Singapore’s first wetland reserve at Sungei Buloh Wetlands Reserves. 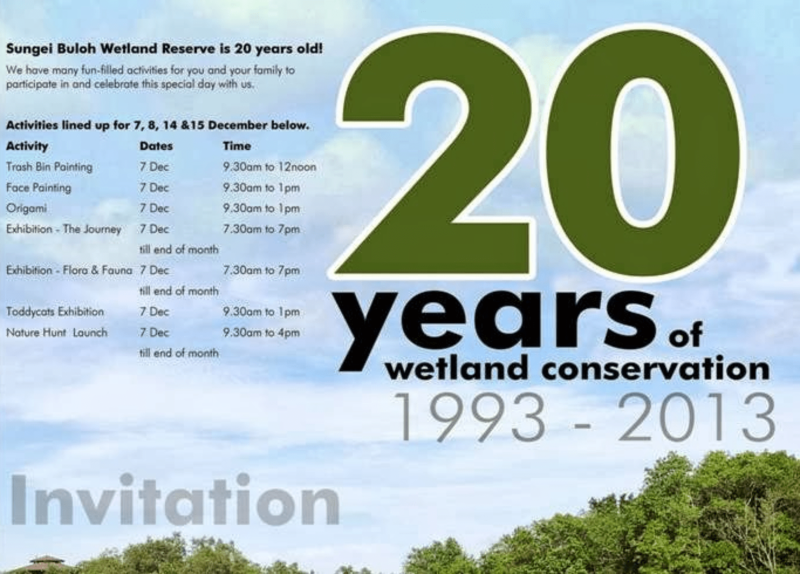 It is a little different this year – SBWR turns 20 and a slew of activities have been organised by the Reserve to mark this milestone starting from 7 December. There will be free guided walks, face painting, origami, and exhibitions organised throughout the month. 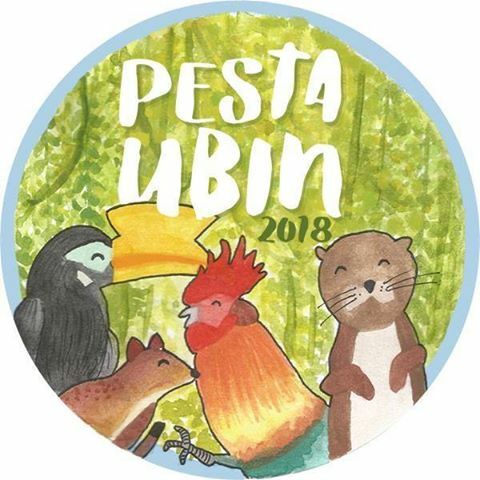 For the first weekend, we have been invited by Nparks to set up a show and tell booth within the yet to be launched new public gallery to share with members of the public the wonder critters that reside in the mangroves. Toddycats in action: Show and Tell at the 15th anniversary bash. Do join us for a morning of fun and celebrations! 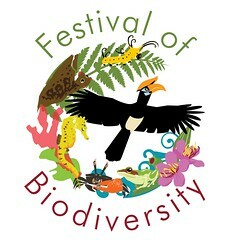 For more information, visit SBWR’s webpage. 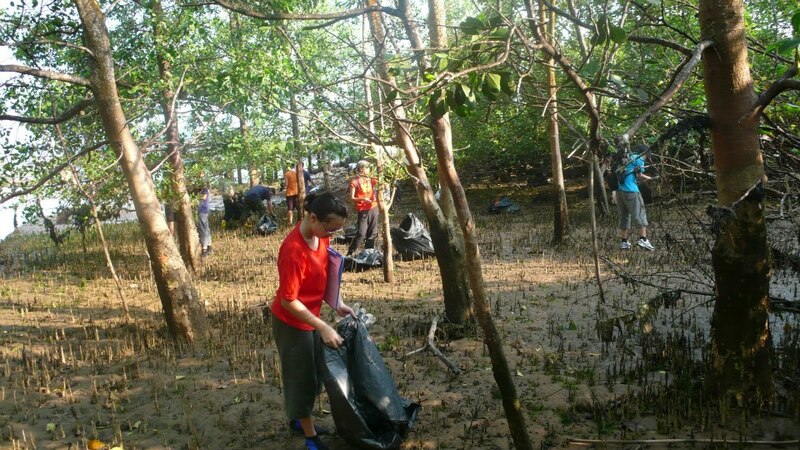 Toddycats clear 223kg of trash at ICCS Berlayar Creek Mangrove! 29 September 2012 – Raffles Museum Toddycats! 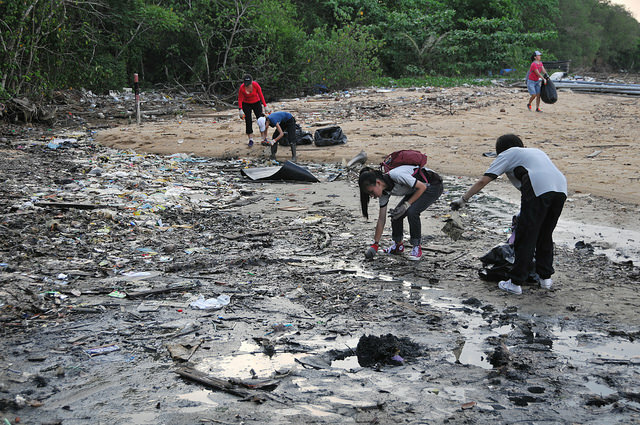 were joined by three Keppel Club staff for the International Coastal Cleanup, Singapore at Berlayar Creek mangroves. 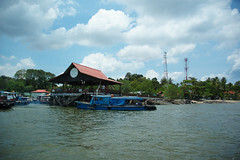 Raffles Museum Toddycats were deployed here for the first time after four years at Pandan mangrove from the first cleanup in 2008. 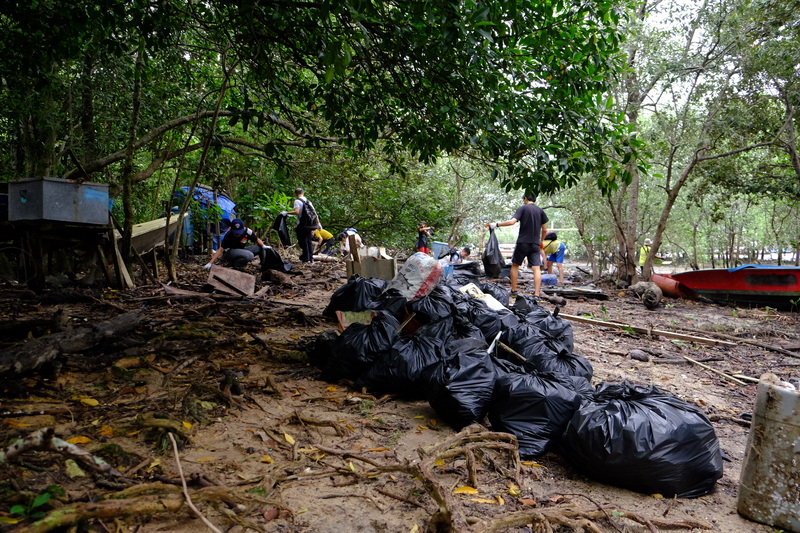 Armed with trash bags, booties and data cards, 18 of us responded to our mission and spent an intensive 90 minutes removing marine debris of all sorts from the delicate mangrove site. 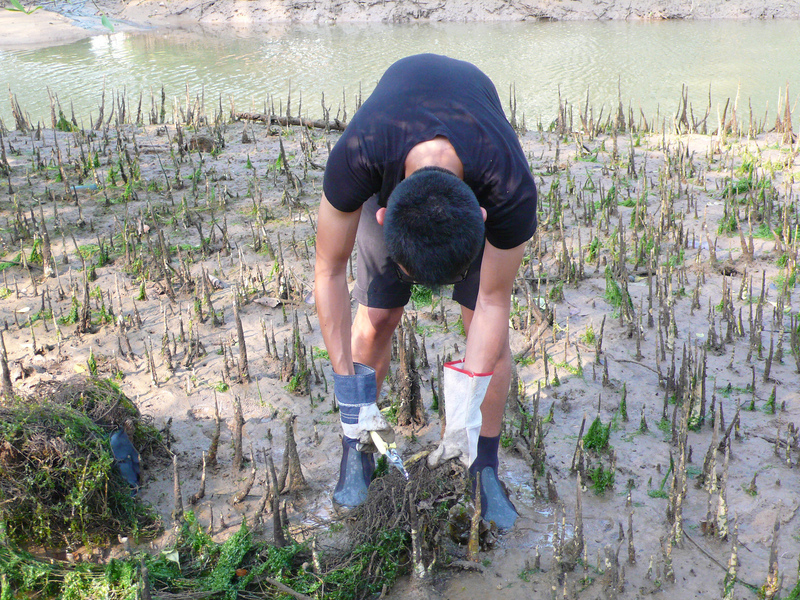 Given the fragile environment of Berlayar Creek, we had to be extremely meticulous when manoeuvring through the aerial roots of the mangroves which is why ICCS Coordinator Sivasothi had entrusted this site to Toddycats. Moving around the mud was a challenge for first-timers, as one of the volunteers experienced getting both her feet stuck in the mud. Fortunately, after several attempts and help from other volunteers, she was finally free. It was an hour of hard work picking and cataloguing marine debris before we proceeded to move all the trash (including the bulky items) up the steep slopes and to the weighing point. The trash were then weighed for an indication of the marine debris load present at the site. After weighing was completed, all the trash was despatched to the Trash Disposal Point for pickup later. First timers or no, this could be challenging as the TDP was a distance away, but all the volunteers put in their best effort and cleared a total of 23 bags of trash weighing 223kg (excluding many bulky items)! The typical trash encountered during our cleanup included 130 plastic bags, 104 broken glass bottles, 56 food wrappers, containers, ropes and fishing lines. Other more unusual finds were tyres, lipsticks and numerous golf balls! A detailed breakdown of the marine debris we cleared is available online at the ICCS Results page. 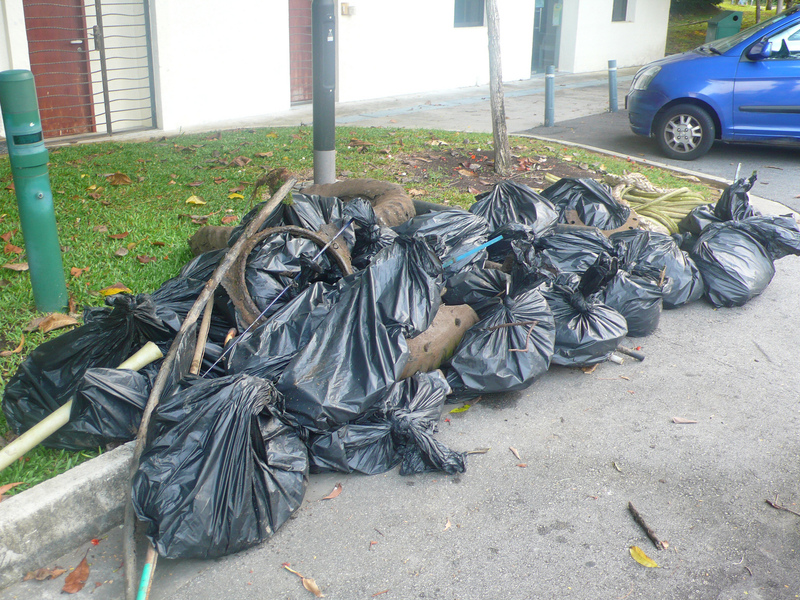 Toddycats clearing bulky marine debris! 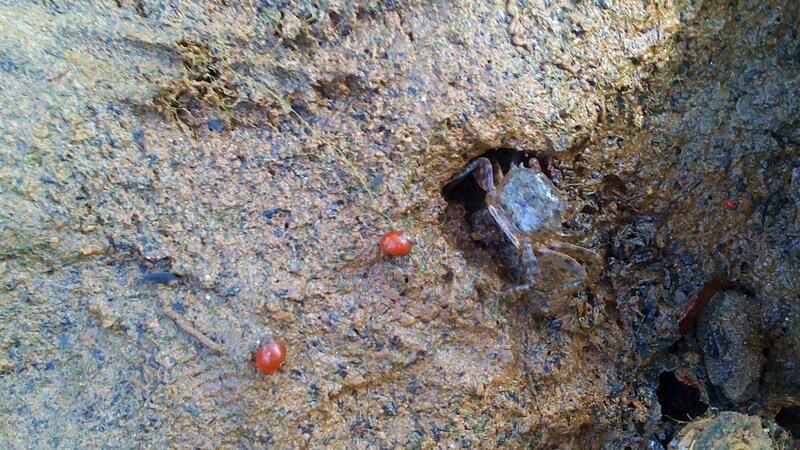 Even the little mangrove inhabitants seem to be grateful for our efforts! 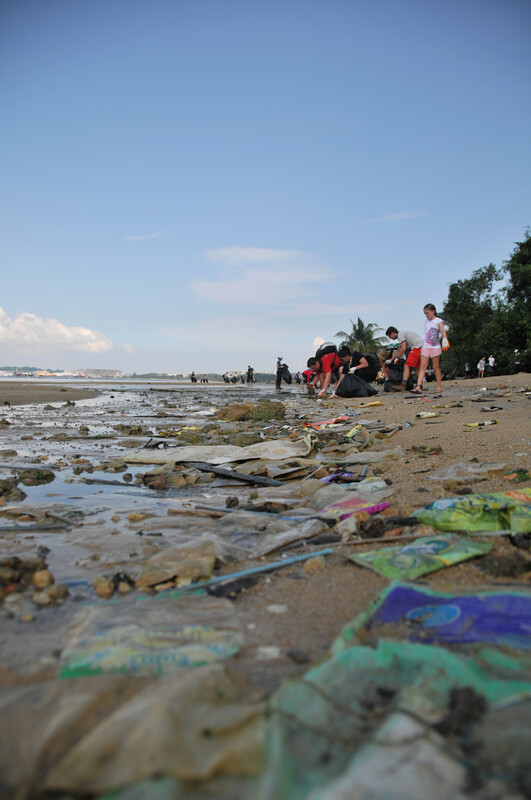 We were glad to do our bit for the environment and inadvertently help raise public awareness about the problem of marine trash! If you would like to contribute more, there are also a series of year-round cleanups being coordinated. To find out more, check out the ICCS website and blog. 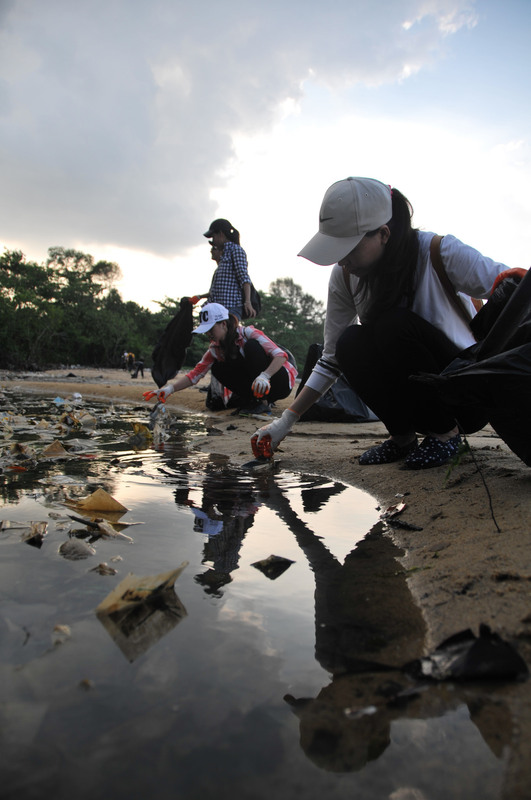 223kg of marine debris cleared from Berlayar Creek mangroves! 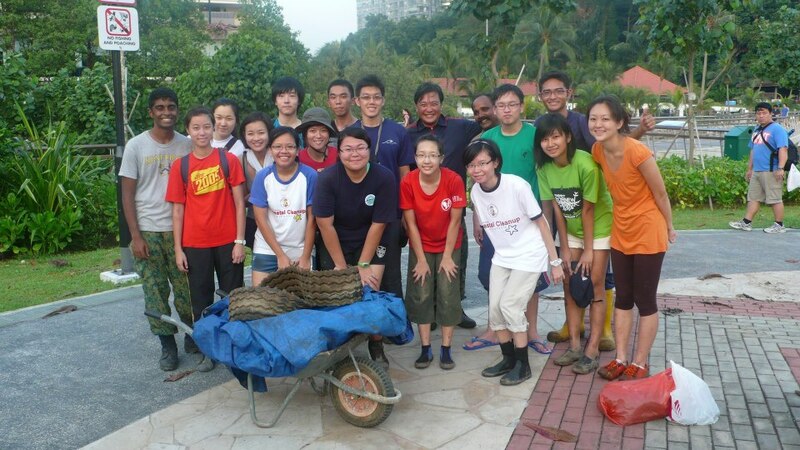 Thank all volunteers for their hard work in ensuring the success of Raffles Museum Toddycats’ ICCS 2012 Berlayar Creek mangrove cleanup! Enjoy photos from this event on the ICCS Flickr page. We look forward to your participation at ICCS 2013!